In Boxers in Brisbane group members share their experience and offer help and advice for those who may need it. Boxers in Brisbane have members with years/decades of experience and knowledge of the breed. Members are people who know Boxers are as mad as a box of frogs but also the most loving and intelligent breed there is but, if you’re new to the world of being a Boxer owner you may need a bit of guidance. You’re definitely in the right place. 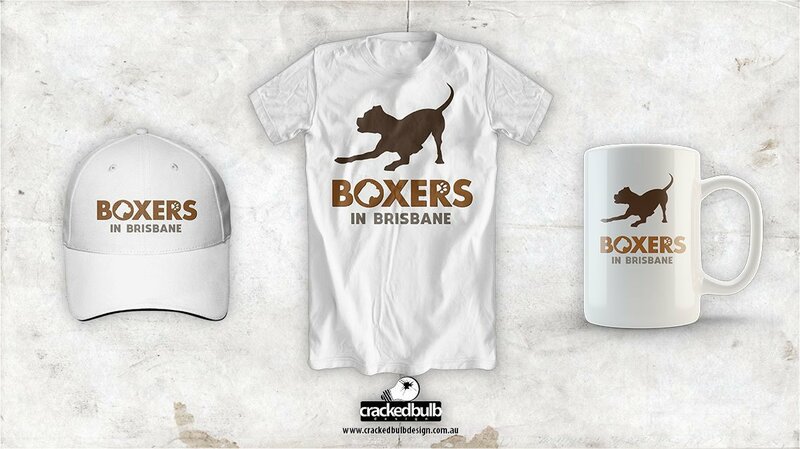 A big thanks to Boxers in Brisbane for giving Cracked Bulb Design the opportunity to design their Merchandise. I had graphics made up for a Facebook page i run as well as merch examples and i couldn’t be more happier. When discussing said items he was so enthused with the project which was very pleasant to hear as well as having the designs done promptly and professionally. I also have to add his knowledge base and experience is second to none and was extremely helpful. Thanks Ahmet.